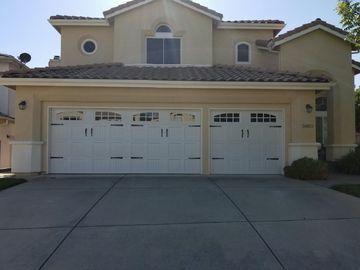 We installed these beautiful Clopay Gallery garage doors in Roseville, CA. 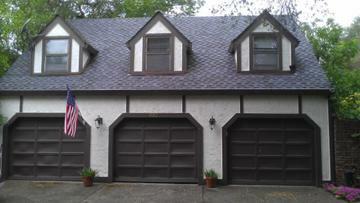 These steel doors offer a carriage house look but in durable steel. 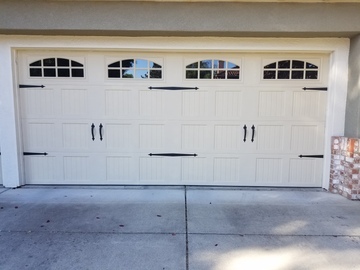 We recently installed these gorgeous Clopay Gallery garage doors for Amber in Granite Bay, CA. 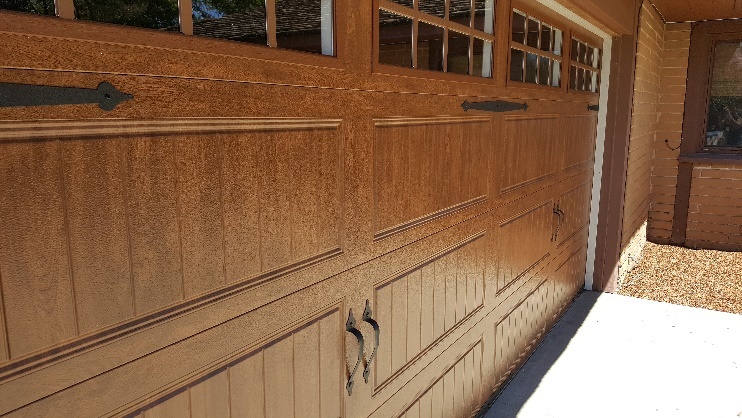 The garage doors feature a walnut oak finish, with a panel of large windows. 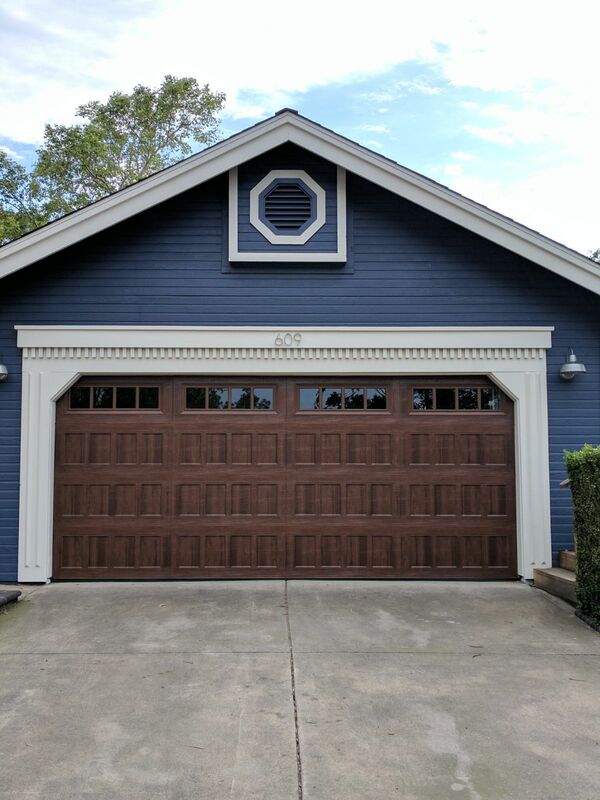 We recently installed this beautiful Amarr Classica carriage house style garage door for a client. Below you can see the door in a walnut finish, with large windows as an accent. 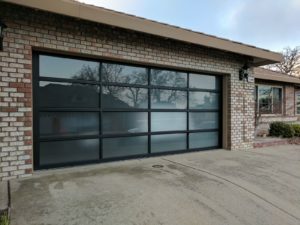 We recently installed this new custom glass garage door for clients in Auburn, CA. 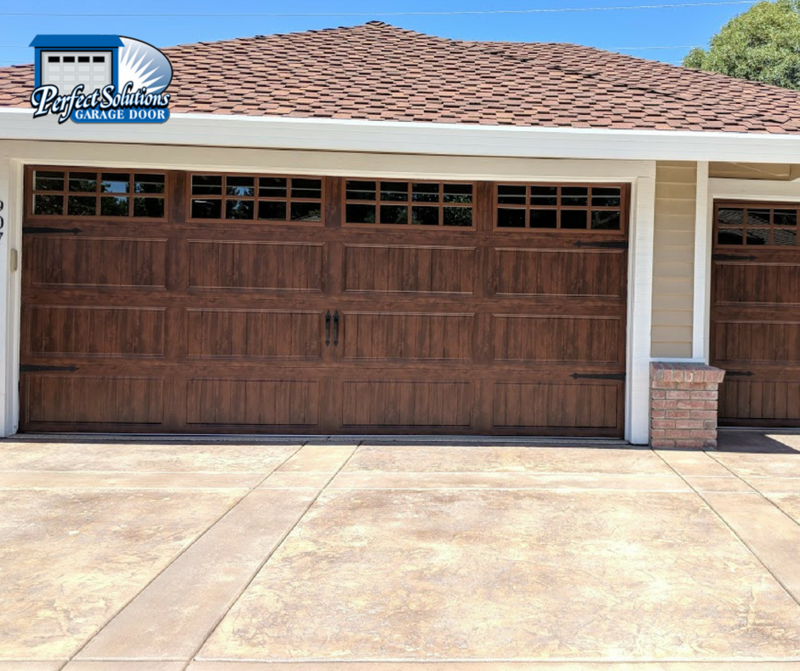 Reinhard and Stephanie were looking to update their old, dated garage doors with something new and modern. Our customers, Nic and Malinda chose the Oak Summit 1000 model by Amarr. The doors they chose include a recessed design, Thames windows, with a walnut finish. 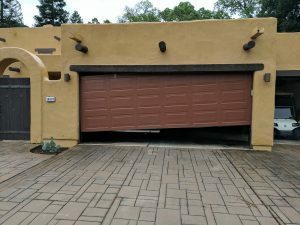 This off-track garage door was a big project. Not only did we level the door and repair the damaged upper panel, we replaced the cables, installed the right sized springs and adjusted the opener force. 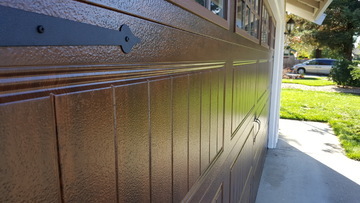 Take a tour with us on the steps to creating a custom wood carriage garage door. 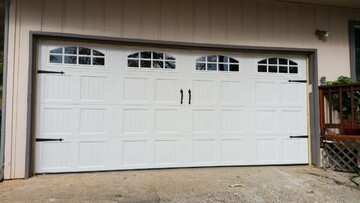 A great way to improve the curb appeal of your home on a budget, is a new garage door. 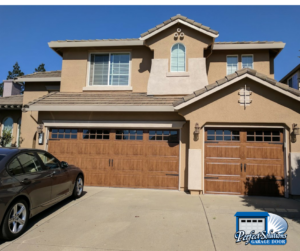 Skip the paint (and choosing the right color), or fancy new landscaping…..
We received a call from Mike, a Rocklin resident, about a BIG problem with his garage door. Apparently Mike’s son woke up around 5am for swim practice (yikes!) and he forgot to open…. Heather was giving her Roseville, CA house makeover! With plans to paint the exterior of her house a bright white, she was in need of garage doors to compliment the house’s new look!…. 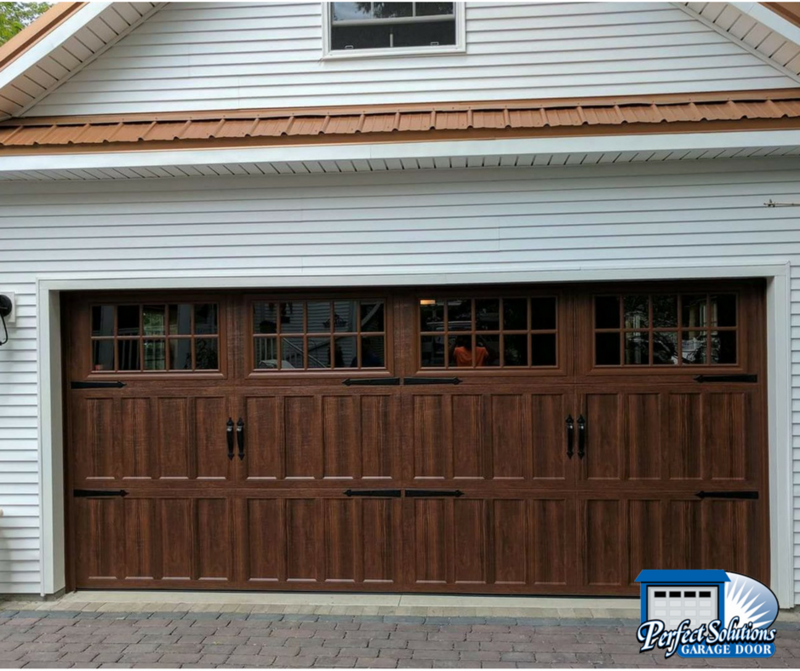 There’s no question that replacing garage doors can improve the curb appeal of your home. In some instances, it can also totally transform…..
Jerry and his wife just purchased a home in Lake of the Pines, CA. 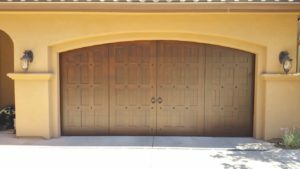 On their long list of renovation tasks was replacing the older wooden tilt garage door…..